The global outdoor sports apparel market is projected to reach $17,154 million by 2025, registering a CAGR of 4.1% from 2018 to 2025. Outdoor sports apparel are outdoor clothing mainly worn during fun and adventurous activities such as hiking, camping, mountaineering, cycling, canoeing, caving, kayaking, rafting, rock climbing, running, sailing, skiing, sky diving, and surfing. These are the fashionable clothes specifically designed to provide comfort and agility to consumer. These can also be worn as casual wear. Sheer inclination of people toward unique and exotic holiday experiences, increase in the middle & upper class disposable income & related expenditure, and growth in need and interest of people toward outdoor sports or activities also support growth of the outdoor sports apparel market. However, shift in trend toward sportswear and availability of low quality and counterfeit products restrict the market growth. The rise in demand for trendy and fashionable sports apparel leads to launch of new products that cater to the requirements of the customers. 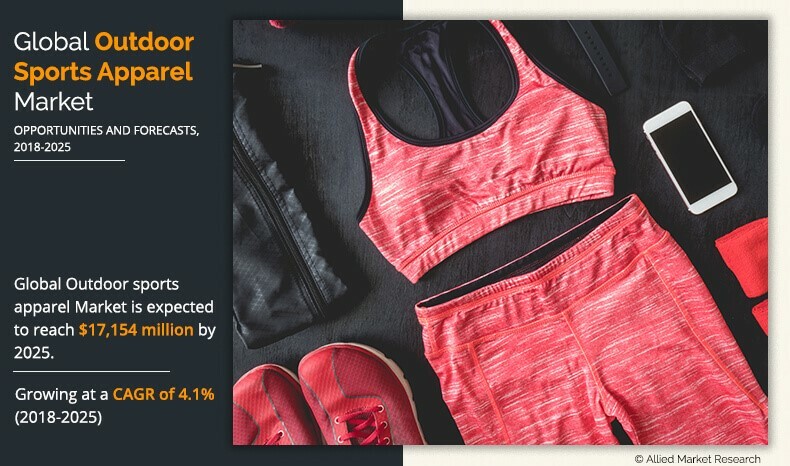 The increase in demand for trendy fitness apparel by consumers directly impact the sales of outdoor sports apparel, which is anticipated to provide growth opportunities for the outdoor sports apparel industry. The outdoor sports apparel market is segmented based on mode of sale, end user, and region. 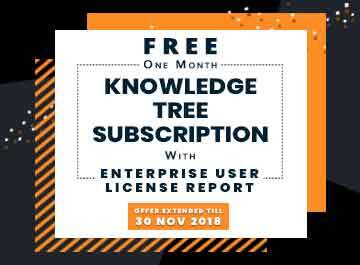 Based on mode of sale, it is classified into retail stores, supermarkets, brand outlets, discount stores, and online stores. Based on end user, the market is divided into men, women, and kids. Based on region, it is analyzed across North America, Europe, Asia-Pacific, and LAMEA. Discounted stores are present in malls and commercial establishments with large assortments of branded products at lower or discounted prices. Based on mode of sale, discounted stores are the major contributors to the outdoor sports apparel market. Consumers prefer to buy clothes from these shops as the clothes are cheaper or cost-effective. These stores also offer various deals and sales to the customers. In addition, the variety of choices offered by these shops is vast. The online stores segment is expected to grow at a lucrative growth rate during the forecast period owing to increase in ease of use of online retail, rapid advancement observed in internet penetration, and growth in popularity of online shopping portals over the last decade. Based on end user, the men segment was the highest contributor to the outdoor sports apparel market accounting for about 52% share in 2018. According to outdoor sports participation report published by The Outdoor Foundation, in 2016, around 54% of outdoor sports participants were men, while 46% were women. The consistent increase in men outdoor sports participation support the growth of the outdoor sports apparel market during the forecast period. In addition, the market players have been launching lightweight and comfortable apparel for men. These are made of flexible fabric materials and have wicking properties. New product offerings that cater to the men segment are expected to boost the outdoor sports apparel market growth. The kids and women segments are expected to witness growth during the forecast period. The cumulative share of these two segments was 53.7% in 2018, and is anticipated to reach 58.3% by 2025. Based on region, North America dominated the outdoor sports apparel market in 2018 and is expected to grow at a steady pace during the forecast period. However, Asia-Pacific is one of the fastest growing outdoor sports apparel markets in the world. 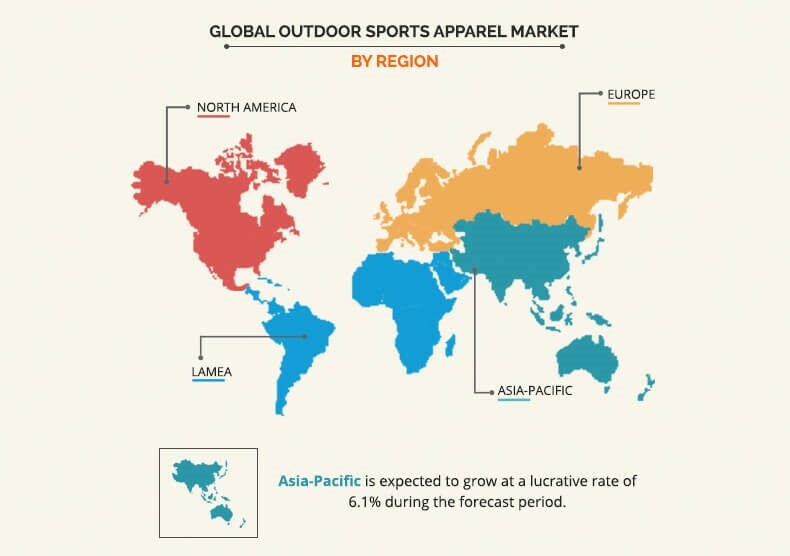 Stable economic condition coupled with increase in disposable income drive the growth of the Asia-Pacific outdoor sports apparel market. Moreover, consumers preference for healthy lifestyle and consistent growth in adventure tourism foster the growth of the market in the region. Increase in disposable income and easy availability of new and performance-enhancing sports apparel lead to the growth in adoption of premium products, which in turn drives the outdoor sports apparel market growth. Apart from this, rise in marketing initiatives such as heavy marketing campaigns and celebrity endorsements also foster the growth of the outdoor sports apparel market in the region. The leading players in the outdoor sports apparel industry focus on providing customized solution to consumers as their key strategies to gain a significant outdoor sports apparel market share. Strategies such as product launch and acquisition have also helped the key players to gain a significant share in the global outdoor sports apparel market. The key players profiled in the report include The North Face, Patagonia Inc., Columbia Sportswear Company, Kathmandu Limited, Woolrich Inc., Nevisport Ltd., Cotswold Outdoor Ltd., Mountain Warehouse Ltd., Under Armour, Inc., and Snowgum. The report provides a quantitative analysis of the current outdoor sports apparel market trends, estimations, and dynamics of the market size from 2018 to 2025 to identify the prevailing market opportunities. In-depth analysis and the outdoor sports apparel market size and segmentation assists in determining the prevailing market opportunities. The report includes revenue generated from the sales of manual wheelchairs and outdoor sports apparel market forecast across North America, Europe, Asia-Pacific, and LAMEA. The report includes the outdoor sports apparel market analysis at regional as well as the global level, key players, market segments, application areas, and growth strategies. The global outdoor sports apparel market has witnessed a noticeable growth in the recent years, especially in the developing countries of Asia-Pacific, such as India and China. Increase in rate of participation in outdoor sports or adventure activities majorly drives the growth of the outdoor sport apparel market in this region. In addition, individuals are now participating in fitness activities such as running, jogging, and others to stay healthy and fit thereby, boosting the growth of the outdoor sports apparel market. Market players are formulating different strategies to remain competitive in the market. Numerous prominent players in the market have been constantly launching new and innovative products to gain strong foothold and sustain the increase in competition. 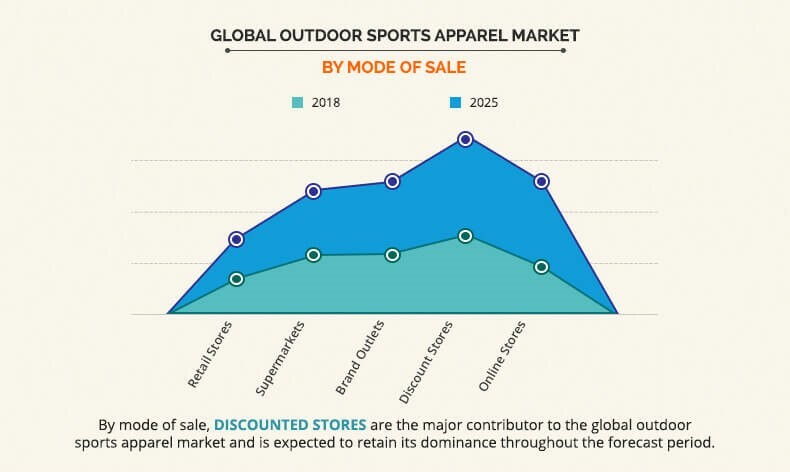 Several companies operating in the global outdoor sports apparel market have also adopted collaboration and acquisition as their key growth strategies to sustain the market competition and to increase their market presence. Prominent companies, such as Nike Inc., Adidas AG, and Puma SE, endorse their products through renowned celebrities; thereby, increasing their customer base. Companies are proactively setting up new retail outlets, especially in the developing countries such as India and China to expand their geographical presence and tap the emerging markets. For instance, the world’s largest sportswear brands, US-headquartered Under Armour is set to open retail stores in India. In addition, exhaustive marketing campaigns by established companies have increased brand awareness in the global market; thus, fueling the market growth.